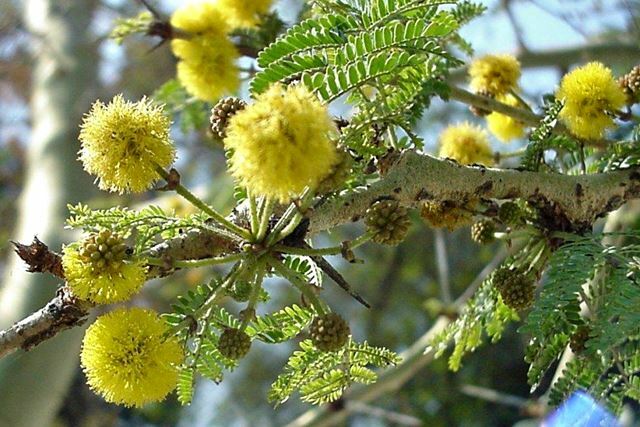 Acacia sieberiana, commonly known as the Paperback thorn or Paperbark acacia, is a tree native to Africa and introduced into Pakistan. The Paperbark (Papierbasdoring tree) is found in woodland, wooded grassland and along riverbanks where it can reach a height of 15m. It has a widely spreading flat crown (12m high, 16m wide) of deep green, feathery foliage. The creamy-tan to yellow-brown bark, make this tree easy to identify. The flowers are creamy to pale yellow (September to November). Light brown woody pods are formed from March (Autumn), onwards – cylindrical and thickened. The Paperbark is a fast-growing, half-hardy tree. 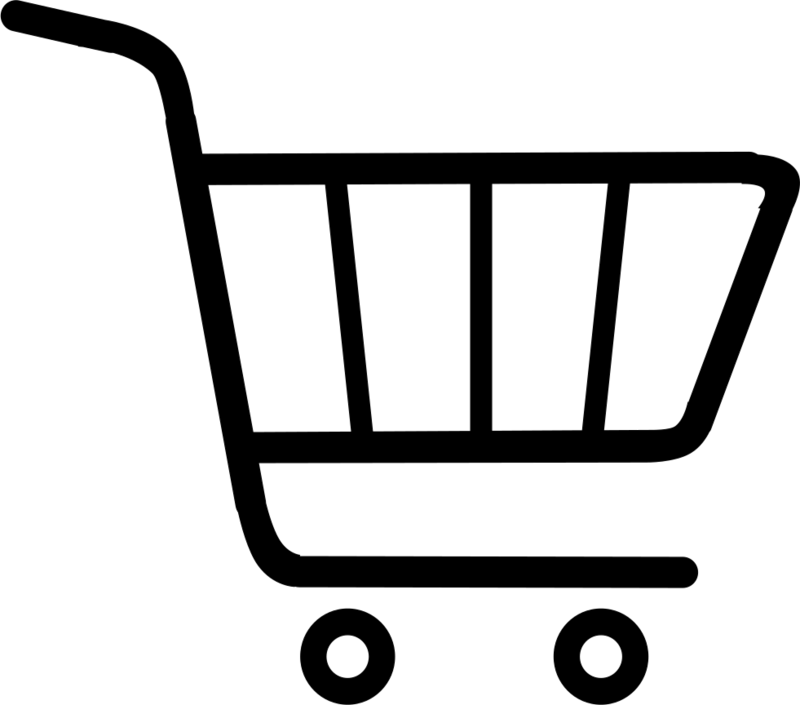 It is used in many areas for various purposes. The tree varies varies from 3-25m in height with a trunk diameter of 0.6 to 1.8m. The flowers of the tree make good forage for bees and bee hives are put directly in the trees to exploit the resource. The leaves of the tree commonly release toxic chemical compounds. When the tree has been heavily browsed, some of the compounds may release hydrogen cyanide and when indigested by cattle, may be lethal. The fallen pods and foliage can provide lifesaving forage during dry times of the year. The gum of the tree is used as food, as an adhesive, and as an ingredient in making ink. In Africa, the bark or root is used to treat urinary tract inflammation. 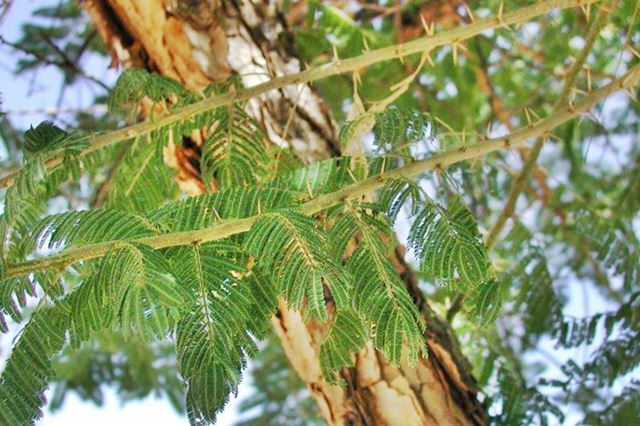 The bark has astringent properties and is used to treat colds, cough and childhood fever. The wood is fairly hard and is used for furniture. This tree is widespread in its natural habitat and is not threatened. It is browsed upon by livestock and game such as elephant and giraffe.